A Treasury report shows tensions between the Minister of Transport Phil Twyford and Treasury over the Auckland light rail project. The report was written by David Taylor from Treasury’s National Infrastructure Unit and highlights the delays and cost blow-outs experienced with another similar project in the UK. The Treasury paper says the need for a new in-depth business case for the project is vital and will need to spell out the strategic and economic basis for the project, as well as consider alternative options and a cost benefit analysis of the preferred option. Last week www.interest.co.nz reported that the business case for the project still remains up in the air. The business case proposal was supposed to be delivered at the end of last year, but as of yet it hasn’t been made public. According to a spokesperson for the NZ Transport Agency (NZTA), which is leading the project, the business case is still a work in progress. The Treasury report says the business case will also need to set out how the procurement process will be handled, whether the development is affordable and a management plan to ensure the project is a success. It says it would also need to include an analyses of opportunities for more cost effective solutions and set out how the various implementation risks would be managed. “A well-developed business plan provides assurance that the project will not end up in failure. Business cases have been put together by Auckland Transport, but we consider that these should be updated to reflect a new procurer (NZTA); and the Government’s broader urban development objectives. Transport Minister Phil Twyford has estimated that the Auckland project will cost about $6 billion, making it the biggest transport project in New Zealand history. 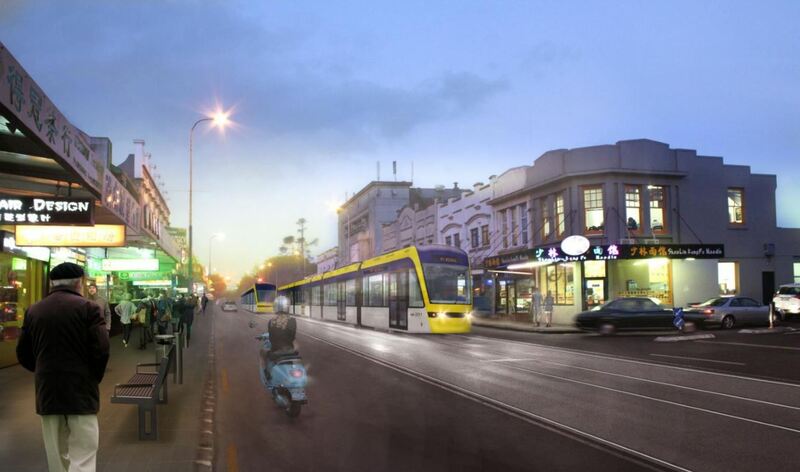 The project will see two light rail lines established in Auckland. One leading from downtown Auckland out to the airport at Mangere, while a second line will run from the central city along State Highway 16 to Kumeu/Huapai. The NZTA is leading the development of the Auckland light rail programme with the support of partners, Auckland Council, Auckland Transport (AT) and HLC, a wholly owned development subsidiary of Housing NZ. A spokesperson for Transport Minister Phil Twyford confirmed that he hadn’t received the business case for the Auckland light rail project. As reported last week, the New Zealand Superannuation Fund says it remains committed to its proposal to build and operate Auckland’s proposed light rail network with Canadian partner CDPQ Infra. Announcing a procurement process last May, Twyford said the Government was committed to progressing light rail in Auckland. Twyford added that the procurement process covers both the city to Mangere and the city to North West lines. The 10-year transport plan for Auckland includes $1.8 billion in seed funding with the option of securing private investment in the network. If ever there was a exercise in futility, it would be writing that business case. It feels like the tide is barely flowing, nearly at peak. Then it's still. Then it turns slowly before hitting peak flow at mid tide. I don't understand the thinking that in 10 years time it will be as it is today. Surely the enablers for a lot of the jobs that typically sit in high rise CBD to be done remotely will accelerate at some point soon. Maybe once the current older generation that occupies the senior management levels move on and aren't caught up with bums on seats? Yea that's definitely going to fix bus congestion in the CBD. Or traffic in West Auckland. Wellington Region has a regular commuter rail service running from Masterton to Wellington Central with park and ride stops along the way. With all it's problems (crowding and intermittent delays) it gives people options. The further out you live, the cheaper the housing gets. Problem is everybody thumbs down these public transport initiatives because they're heavily subsidized. Buses so frequent down Dominion Road that they can't stop to pick up passengers. It doesn't connect suburbs to the rapid transit network. Light rail is not the answer. Then the question becomes what is the answer (I'm not a proponent for or against light rail). As far as I can tell most governments of the world seem so far behind the eight ball in any infrastructure project or other critical government provided function that all projects are doomed to "fail" if some sort of business justification criteria is used (a flaw of neo liberal economic thinking ?). Those that are forward thinking ( such as CCP) end up creating projects with little in the way of business justification beyond keeping people employed (think of the large unoccupied city's in China). A bit like the old Ministry of Works or the Railways Department of old in NZ - a job creation scheme. Perhaps China has a good idea here - create projects that my not have a strong business justification but have a strong social justification - they won't be perfect and won't solve all problems but maybe they will go some of the way to solving the problem at hand. In the end to much hand wringing over getting it "right" leading to inaction and can kicking. In the end know you will sometimes f*** up but do it anyway. I had to read many comments, phew finally one sensible one. This govt/ council is well on the way to bankrupting NZ/ Ak. Partly due to the previous one of course, letting in all sorts of unskilled young people and their ailing parents. It's a pretty good one if you understand the actual issue they're trying to sort. Let's see your reasoning for it not being the answer, and your superior solution then. I'm fine with just making cycleways everywhere and getting people on e-scooters. If you use HTML to change the headline to "Wellington Meddling Delays Critical Auckland Infrastructure Project", the movie Groundhog Day starts playing in your browser. Er, have they looked at Hong Kong's MTR model? They fund the railway line extension build cost by buying the land around the proposed new stations. That way the uplift in land values as a result of building the railway is used to pay for it. Clever or what? Oh, haven't they read Fred Harrison? 'Course it might not work in Auckland, not enuff people, must get some more, and 200x 30 storey tower blocks to keep them in. That's the problem. It's not going to be empty for long. The houses and people are going in regardless of whether the Light Rail gets approved or not. We already need it out there and the need for it is going to become even more urgent as time goes by. Yet here we are with the business case apparently in no man's land. You are wrongly thinking Auckland Council may be sane. That land is going to be devoid of housing until at least 2050. The Auckland Unitary Plan bans construction of housing between Westgate and Kumeu/Huapai. The current plan is to create massive sprawls of housing beyond Kumeu, but ban housing closer towards Auckland. They want to construct this light rail to service areas where they have banned housing. But they have banned the use of the existing rail line to service Kumeu/Huapai where they are building massive sprawl. Yes, I expect the Japanese model is good. After all they were building high speed rail in the 1960s when In Britain they were fabricating a case for wholesale destruction of the rail network. The Beeching Plan was just the ultimate Labour folly to stimulate the car industry. Nationalisation of coal and rail and car manufacturing in Britain was another idea that seemed good at the time, but was massively destructive. ...Except half of that space is zoned Mixed Urban and up to and a little past Whenupai is zoned 'Future urban'. And the Westgate developments (and Malbec to the North West along Fred Taylor Drive) are definitely happening. Agreed though that the lack of rail planning is ridiculous, but won't add much given that all extra services that the CRL enables will stop at Henderson and won't run the length of the current line to Swanson anyway. Rail loop or doom loop. The really scary thing is "there is no business case yet". Which train station do you propose the dominion road buses feed? they changed all the bus routes round our way to run to and from rail stations down the main arteries every 15 minutes, you connect from point a to b using bus and train then bus then maybe another bus and all for 1 fare if you get on and off within 1/2 hour at each stop. i was using it to visit hospital , took me ten minutes longer each way, BUT was less than the cost of 1 hours parking. I'm sure you said the same thing about the Northern Busway, Britomart, electric trains, etc. Almost every public transport project in Auckland has been a massive success with much higher usage than anticipated in the business case. So even if the project does have big cost overruns, history would suggest it will also have big benefit overruns. .. so never mind the cost , business case and due diligence in general - just build it cause Jimbo say it is gonna be GREAT. Just pointing out to all the “cost always blows out” naysayers that the benefits tend to blow out too. Definitely do a business case and cost benefit analysis; but also remember plenty of “roads of national significance” were built with terrible business cases. "Just pointing out to all the “cost always blows out” naysayers that the benefits tend to blow out too. " .. run the usage vs cost numbers for Auckland cycle ways past me again , will you ? "but also remember plenty of “roads of national significance” were built with terrible business cases." ... right , let us throw some good money after bad. I believe cycleways have some of the highest benefit to cost ratios. Have evidence otherwise? The business case for Nelson St predicted 986 cyclists would use the cycleway daily, but in January last year the count was 333 when the report was written. The latest figures from AT at the end of September this year show 448 cyclists a day using the cycleway. The divergence between the forecast and actual figures for Grafton Gully were also significant, said the report. The business case forecast 975 cyclists and the January 2017 count was 292. Aren't the numbers from that business case the expected use years down the track, with current usage actually in line with what was expected? Just because a usage number is in a business case, it doesn't mean that number applies at all stages of a project. We here are firmly of the Mike Hosking view that if cycle lanes aren't at full capacity at day 1, they are a complete waste of time and should be built over into 4 lane highways to transport real people. Ethnic chefs to staff Madamme Wu's in Dunedin. People who drive the economy. are you so threatened by some actual , measured numbers that you only response is a hysteric fit ? Some serious questions need to be asked about this project. 5) The proposed light rail is just that, light rail. It is not light rapid transit and does not provide significantly faster travel speeds for public transport. 7) Costs should always have optimism bias attached to them. Even the standard OB values provided in international manuals are often too low and cost blowouts significantly in excess of the recommended values occur. 9) Due to the complexity of the construction the travel time disbenefits during that period will be significant. 11) If the NZ super fund gets its way and gets to own the infrastructure. Rather than just contributing to the superfund NZ taxpayers will pay a premium to the superfund to make a return on a financially non-viable infrastructure investment. 12) The light rail scheme might be viable in the face of future carbon costs, congestion tolling in Auckland and better alignment of real transport costs (eg remove the ratepayer subsidy and get road users to pay their real share). But those items should be committed to first before the LR is considered. 1) Congestion has real and tangible impacts; not every public transport project or road project is done purely to save lives either. I'm not sure why Light Rail suddenly has to clear this hurdle? 2) Show me any form of urban transport that does not require a subsidy? Seems like a weird flex given we have specified farebox recovery for buses and trains. 3) You're speculating on a business case that the article specifically says is still being finalised; e.g. you can't know this. 4) You can't compare the speed to the current network without factoring in growth-induced congestion, the issue of where more and more buses go or how we're going to free up enough space on Dominion Rd for people to get on or off. That seems like a business case thing though, although why bother waiting for one of those! 5) We don't currently have a spec for that yet, unless you know something that the rest of the transport community doesn't? 6) The LR to the Airport is an extension of the Dominion Road Light Rail project which has existed separately and will probably be built separately. I'm not sure where you're getting the "three modes" from when the Terminal is at one end and the CBD will be at the other. You're also discounting that rail costs more but services a smaller area due to alignment requirements and only having two additional stations to the airport. 7) Of course, only Light Rail can exceed costs and your beloved heavy rail has never had a documented overrun except for the one happening literally in the middle of the same city. I'm sure that's different somehow. 8) Given that development along Dominion Road is currently being knocked back now anyway, this is a bigger picture issue that isn't going to resolved as part of the Light Rail debate anyway. 9) Is there a credible alternative for the NW and Airport/Mangere LR that doesn't have construction complexity? What exactly is your benchmark here? 10) Better not build any infrastructure at all then, huh? 11) Again, you've decided it's not viable without an updated business case based on nothing other than speculation. 12) Again, show me any transport system that doesn't operate with a subsidy. This is a ridiculous bar to set, which is again based on speculation and nothing else. I'm neither for nor against the LT proposal. However as NZ's largest ever transport project it requires appropriate due diligence. Absolutely, and for pretty much exactly why Treasury says: It's going to be so complex that the potential for stuff-ups is enormous. But much of the opposition to the Light Rail seems be based on either a misunderstanding of what the project does or why Light Rail is needed in the first place. This is squarely the fault of NZTA as their comms have been piss-poor; the business case being essentially late fits with this attitude. The gold Coast got their light rail system, with 19 stations and 20km in length and it was under 2 billions! That cost is for two light rail lines, one to the airport with 20 odd stations and one out west. All up probably double the Gold Coast and with more difficulties so prob not so bad. "so prob not so bad." -the precise level of due diligence Labs have done on it. I think it's four/five stations out West + a Pt Chev/Unitec connection. Could someone point out to Twyford that the widening of the Southern Motorway between Hill Road and Papakura to add one lane each way i.e. three lanes has taken over three years and is not going to be completed until the end 2019 - effectively four years. Could someone point out to Twyford that in excess of 100,000 car, trucks etc - think tradies, big rigs, Southern residents and the rest of New Zealand have to come through the Bombay "gateway" to get into Auckland. Where are the plans for an alternative entry to Auckland from the South. Let's not add the massive number of houses being added to Papakura, Drury, Paerata, Ramarama, Pokeno, Tuakau and the list goes on. Light rail for 11,000 an hour against this? Idiotic. Well , well well where do I start ? Are we not getting a bit ahead of ourselves here ? Maybe we should get the CBD train loop tunnel completed first and see how viable that is before we embark on the next folly . What we really need is an efficient and less expensive bus-based public transport system , instead of the horrendously expensive , hopelessly slow and incredibly inefficient public transport system we have at present. I wonder how many cities with decent rail systems would have been better off not building them and instead opting for buses? None I imagine. Auckland actually had a good public transport system and we ripped it out to use buses and look where that has got us! The buses are already strangling the inner city. You can't keep chucking infinite numbers of buses down thoroughfares and into the CBD and expect the roading network or the bus network to still function. One of the reasons LRT is being looked at is because it will take half the buses used to carry passengers at the moment off the road. Light rail, brought to you from the team that promised to build "100'000 affordable homes"
And, as Wellington has demonstrated just last night, one little failure anywhere along what is inherently a single fixed track, means zero PT. So any business case (the current delay in delivering it possibly implies there is a frantic search being made for porcine lip embellishment) has to figure in the opportunity cost of that quite inevitable occurrence. Yeah. I got home at 9:30 last night. And it’s a recurring theme in this region.